Wednesday’s Revere police logs were released and showed no less than six car accidents on Monday. There was a report of a car accident on Brown Circle at 2:15 p.m. Monday. The Target on Furlong Drive saw a car collision at 2:40 p.m. Monday. The evening saw two car accidents, one at Bianco Inc. at 6:48 p.m., and one on Malden Street at 9:53 p.m..
After experiencing a car accident, many drivers will call local law enforcement regardless of the amount of damages or injuries. A police report is simply a third party creating a log of the incident. It will include witness statements, and the officer’s observations and opinion about the accident. The officer may also include the road and weather conditions in the report. Do not mistake this report as a piece of evidence, because it is generally not admissible in court. However, it is still a good thing to have because it is an account by a neutral third person. It essentially makes a record for all parties involved that can be trusted. 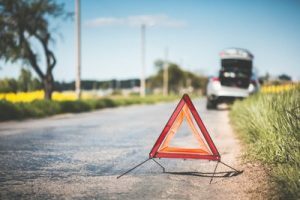 The police report is not required for a Massachusetts personal injury case, but can certainly be helpful to your attorney in assessing your case. If you have been involved in an accident, and you suffered injuries caused by a third party, the attorneys at the Law Offices of Jeffrey S. Glassman would like to hear from you. Call us today at (617) 367-2900 and we will review your police report with you, and assess your case.